When you start your own small business, you have to wear a lot of hats. You might have a passion for building effects, but you also have to learn about advertising, social marketing, shipping, the internet, dealers and a plethora of other stuff you might not have imagined when you started out. It’s enough to make a builder want to throw in the towel. Fortunately for us, Austin at Mercy Seat Effects forged ahead undaunted by the trials and tribulations of having to do everything that goes with getting his one-of-a-kind effects out the door. According to their website, the goal at Mercy Seat Effects is, “to create effects pedals that inspire”, and to craft effects that not only sound great, but ooze that DIY attitude in appearance as well. Operating out of Germany, this Indiana native is doing just that. His current line of pedals touch on all the prime categories including the Feather Bender Fuzz, the Zacchaeus Clean Boost, the Tree of Life Overdrive, the Tree of Knowledge Distortion and the Sampson Buffer. 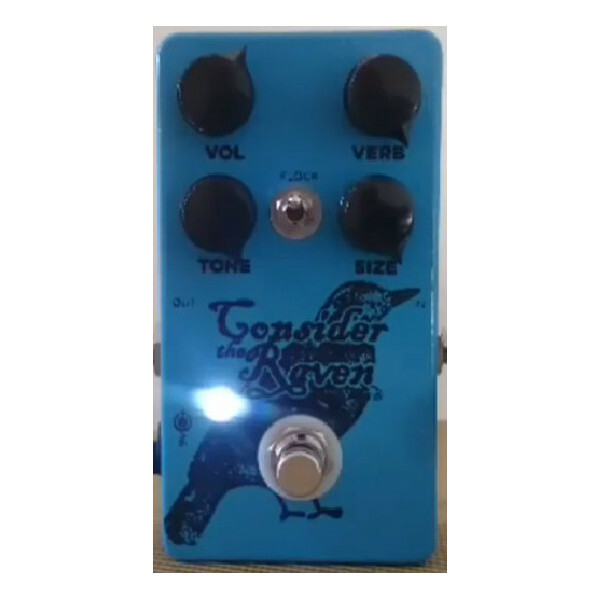 And now, he has a new take on his Consider the Raven Reverb with the ‘Flock’ Edition (learn more below). 1. ‘American Made in Germany’ is the tag-line on your website. Can you explain that in a bit of detail. I grew up in a little suburb north of Indianapolis, Indiana. When I was 28 I met my wife while I was traveling in Germany. We lived in the US for a couple years, but recently she was offered a great teaching position here in Germany. I knew I could continue to build my business here and perhaps even tap into a different market of guitarists. It got pretty old explaining to each new customer that I was in fact living and selling pedals from Germany, so I figured I would just make a bit of a joke out of it. A lot of people have a notion that things built in Germany have a very high standard of quality, but Germans are not well known for their… let’s call it dreaminess. My entire business has been built on a dream that I am chasing, so I thought I would use the best of both “nationalities” to convey what my business is all about. Crafting quality, hand-built guitar effects for other people chasing their dreams. 2. How did you start designing/building pedals and when did you decide to start selling them to other people? I have been playing guitar since I was 12 (I am now 33) and I have sold stacks upon stacks upon stacks of guitar effects. I have always chased a tone in my head. I have had some really great pedals that I loved for a time, but then I would get bored and want to try something else. After years of this I decided that I would try to build my own. The first pedal I tried to build was in… 2007. It was a Tube Sound Fuzz from the book Electronic Projects for Musicians by Craig Anderton. I did everything from start to finish including etching my own pcb. Well, unfortunately I never got it working and I gave up on it for a few years. Then in 2010 I decided I would try again. This time I bought a Fuzz Face kit off the internet. It took me a while to get it working, but once I did it was like someone took blinders off of me. There was a whole new world unlocked for me to explore. I started studying schematics, reading anything I could about electronics and how it can be manipulated. 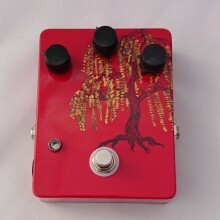 The first pedal I sold was to a good friend of mine in 2011. It is the circuit that is now the Holy Dove overdrive. 3. 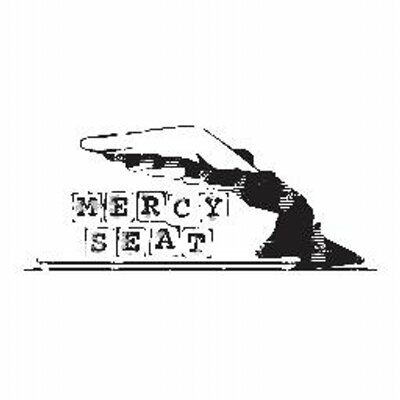 Is there a story behind the name Mercy Seat Effects? The “Mercy Seat” is the name given to the covering of the Ark of the Covenant. It was said to be covered with two golden angels, wings stretched out, covering the Ark which formed a seat for God, the seat of grace, or Mercy Seat. From the first time I heard this phrase I was floored by how powerful and yet gracious it sounded. God, all powerful yet full of grace. 4. What does a visitor see when they come to your shop? Do you work with others or is every pedal a solo mission? My website is nice and simple, mainly because, like my pedals, I do all the work on it, haha. I am not much of a web designer but it gets the job done. The homepage doubles as the product page. I have a blog that I post to every once in a while. I cover topics all over the place from directing people to places where they can get more info on building their own pedals to how to mod a pedal that makes a loud pop when it is switched off and on. It has been a great journey for me and if I can help point others to get them started then that is awesome. 5. Are there any local German bands that you think our members should know about? That is funny you mention that. I was just complaining to my wife the other day about how terrible the music on the radio is in Germany. It’s not like in the states where you can find a cool college radio station or classic rock or anything like that. It is pretty much pop, electro-house garbage 24/7. However, when you dig a little deeper you can find some pretty cool bands. A friend of mine is in a band called Bukahara, and it is a very interesting band. Their style is a sort of gypsy-swing-jazz-pop, haha. Great vocals, acoustic guitar, stand up bass, violin and some brass instruments. It is catchy and dancy (in a good way) and they are all incredible musicians. Good stuff. 6. Is there a pedal tone that you’ve been chasing and just haven’t captured yet? Yes, absolutely. There is this tone… I hear it most when someone has cranked the reverb on their Fender amp. It is almost an overdrive, but not quite. It is clean, but powerful. There is a compression that is there. Hard to put into words. I want to put that in a pedal minus the reverb. I have some ideas sitting on a breadboard. Not quite there though. 7. With tons of pedal builds and designs behind you, what’s your favorite part about the design/build process and what is your least favorite part? Great question. My favorite part is experimenting and trying new things. I can’t tell you how many times I have made a “mistake” on a build that led me to a completely new sound than the one I was working toward. To me, that is what this whole market is about, crafting new and interesting sonic textures. Yeah, a lot of the time the “new” is just a recreation or modification of the old, but it IS different and it CAN inspire people to create music. Least favorite part is packaging and shipping. I don’t like the post office, although I have become pretty good friends with them there, haha. Mein Deutsch ist noch nicht so gut (My German is not so good yet) so communication with them is sometimes difficult but we get by. 8. You’ve re-imagined your Consider the Raven Reverb and are releasing a ‘Flock’ edition of the pedal. Can you talk about the changes you made and your goal with this new pedal. The first CtR was made with simplicity in mind. While so many companies were pushing reverbs with “wet modulation-lactation control” and ridiculous things like that, I wanted a pedal that you could simply plug in to and play instead of spending three hours setting and saving a tone that, once you played live with a band, only made your guitar get lost in the mix. Two controls, nice and simple but sounded great. I think it served its purpose and I still play mine all the time. The Flock edition takes that circuit and adds a few more controls, but just the ones you need. A master volume was added as well as a “size” control. The size control basically sets how deep and wide your reverb goes. So, in a way it sets the size of the room you want your reverb to emulate. My favorite part is the Flock switch. Essentially this switch pumps more gain into the pedal. This is why the master volume was important to add. With the Flock switch off, unity gain is with the volume control at max, when you flip the switch you have to back off the volume because of the added gain. The result is sort of dependent on the guitar and amp you are playing. I found that it has different results with humbuckers and single coils. However, in most cases it adds a bit of tonal color, some compression and even some harmonics. It just makes the pedal more lively and interesting than a simple reverb. 9. Do you take custom orders? Absolutely. I would say 40-50% of my work is custom stuff. That can range from custom graphics to building a pedal with a specific tone in mind. That is how the CtR Flock edition was made. A friend of mine in a band called True Apothecary already had the first edition and asked if there was a way to add more depth and ambience. Thus, the Flock edition was born! Oh of course. 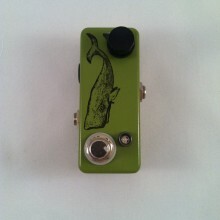 One that comes to mind is the Animal overdrive from Rockett Pedals. The first time I plugged it in I knew it was exactly what I was looking for. It just freaking rocks. Aside from that I really dig a lot of the pedals from Fairfield Circuitry and Mid-Fi Electronics. They both build pedals that are totally off the wall and defy most “rules” of effects design and I really appreciate that. Not only that but their enclosure styles are awesome. That said, a look at my board shows that I stand whole-heartedly behind my own work. Of the 10 pedals on my board 8 of them are Mercy Seat Effects, haha. I have a Boss DD-5 delay that I will never, ever, ever, ever get rid of because it is, in my opinion, the best digital delay you can buy. I also have a Poly-Mini tuner. Everything else is all Mercy Seat. 11. What’s coming up in the future for Mercy Seat Effects? I have a tap tempo tremolo called the Horns of Jericho. I have built a few of them and I do offer them to anyone who asks, but you’ll notice it is not on my site. I have been fine tuning the design, but I will be releasing it very soon. Aside from that I have 4 other project circuits I am fooling with. The first is the non-overdrive I was talking about earlier. Then I am messing with a new approach to overdrive that, as far as I know, has never been done before. I would give more info but the idea is almost so simple I can’t believe no one has tried it before, haha. Then I have a vibrato circuit I am messing with. I never really cared much for vibrato but lately I have been finding tons of use for the prototype pedal I built. Again, it is a dead simple design but it gets the job done and it does it well. Lastly I am working on a modification to the old Foxx Tone Machine octave fuzz. It is a beast. So there you have it folks. Keep an eye out for Mercy Seat Effects. If you own any of Austin’s pedals, leave a review at Pedal Finder and let everyone know what you think and how you use it. If you want to keep on the latest news, make sure you like them on Facebook or check back here often for updates.